Sometimes, smaller is better. 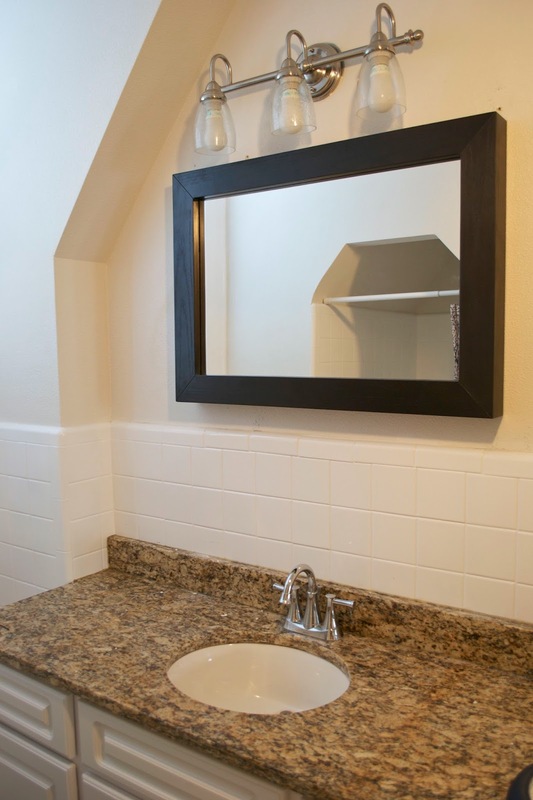 When we redid the electrical and installed new outlets and light fixtures in our upstairs bathroom, we centered the light over the sink. 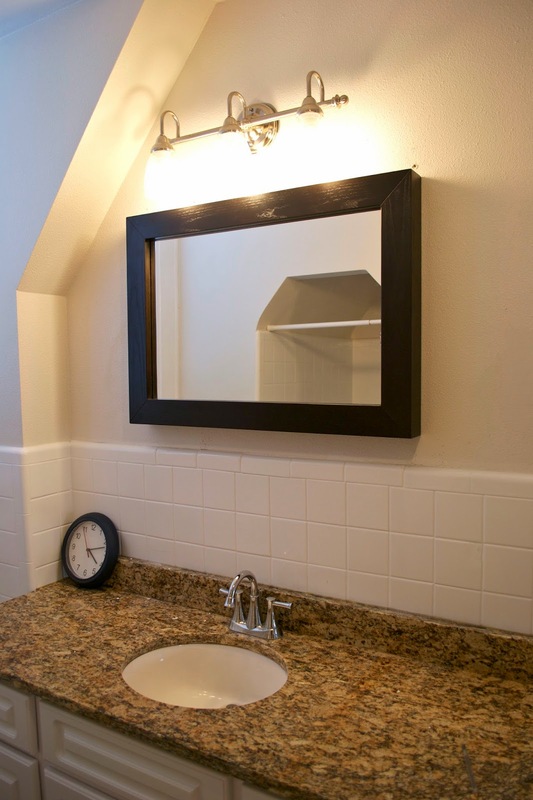 Due to the angled ceiling, we were limited by the size of the light and as a result, the light is way to the left of the mirror (which was left by the old owners). This wasn't the only issue. 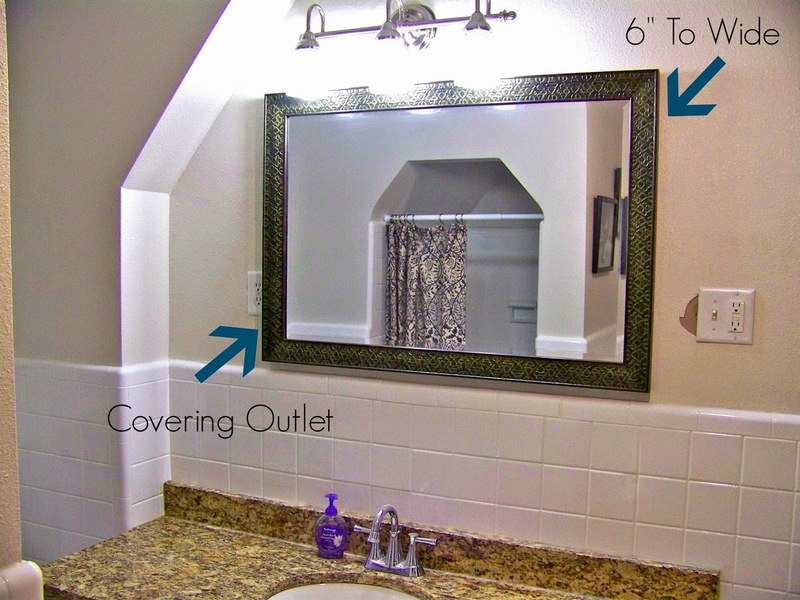 The mirror was about 6" too wide and was covering half an outlet on the other side. It also couldn't be shifted (see slanted ceiling). All-in-all, the mirror was just too big. 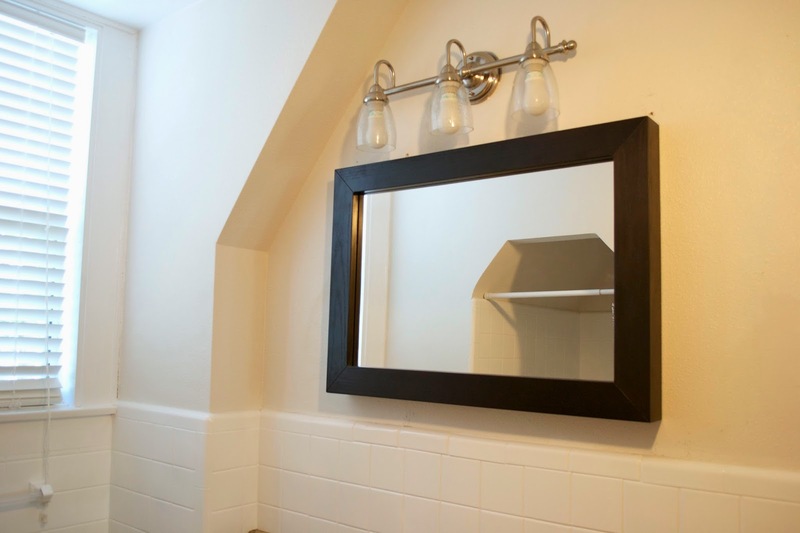 So, we've been on the look out for a smaller mirror at a reasonable price for over two years (I'll spare you my tirade on overpriced home furnishings) without any luck. On a random stop to West Elm, I happened to stumble upon a pile of WAY discounted furniture and hiding in the back was this mirror. The size wasn't listed but a very nice customer happened to be walking around with a measuring tape so after checking the size and talking with Nate to make sure it would fit, we decided to get it. This mirror is SUPER heavy and is made of solid wood. It had a small wear spot on one side but we just hung the mirror so it doesn't show (we'll get around to fixing it eventually). That was the only thing wrong with it and for that they had marked the mirror down from $299 to $39!